3-Chloro-3'-Ethyl-4,4'-Diaminodiphenylmethane - ZhangJia Gang YaRui Chemical Co., Ltd.
3-Chloro-3'-Ethyl-4,4'-Diaminodiphenylmethane Is A Product Similar To The Chemical Structure And Physical Properties Of Solid MOCA. It Has A Liquid At Room Temperature And Has A Faster Reaction Speed Than Solid MOCA And Is Safe. Excellent Characteristics Than Solid MOCA. This Feature Is Used For Its Use, Providing Many Favorable Conditions And Factors In Terms Of Process And Environmental Safety. 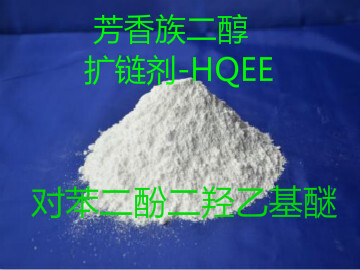 The Diamine Contained In This Product Can Be Widely Used In The Production Of Polyurea-Polyurea Products As Chain Extender And Curing Agent, And The Product Performance Is More Excellent. This Product Is Insoluble In Water, Soluble In Benzene, Chlorobenzene, Acetone, Ethanol And Other organic Solvents. The Amino Group Contained In This Product Is Easy To Oxidize, And It Should Avoid Contact With Air, Oxygen, And Sunlight When Stored. Otherwise, It May Easily Lead To A Darker Product. Compared With Solid MOCA, This Product Has Good Safety To Human Body. Mainly Used As Chain Extender/Curing Agent For TDI Series Polyurethane-Polyurea Elastomer Products. It Is Widely Used In The Preparation Of Cast Elastomers. This Product Can Be Used As A Curing Agent For Polyurethane Coatings, Adhesives, Sealants, Microporous Elastomers, And Polyurea Spray Materials. This Product Is Also An Excellent Curing Agent For Epoxy Resins. 3-Chloro-3&Apos;-Ethyl-4,4&Apos;-Diaminodiphenylmethane Is Prone To Oxidizing, So Seal It From Contact With Air, Oxygen, Sunlight, or The Color Will Become Black. If Only Part Of The Raw Materials In The Container Are Used, Nitrogen Must Be Filled Before Resealing To Prevent The Product From Getting Damp. If 3-Chloro-3'-Ethyl-4,4'-Diaminodiphenylmethane product is not what you want, we can be customized according to your needs, please send us your order to Email: sales@yaruichem.com , or click here to post your buying lead.